Still Waters Wellness was actually born in the hearts of our directors and our practitioners many years ago, as life events led each one to study various healing modalities. 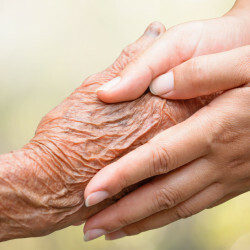 In 2011, Suzan was contacted by our first client who was looking to implement a Reiki program - training their staff to administer healing Reiki to their residents. Suzan’s background in education and curriculum writing, as well as her advanced training in Reiki, made her the perfect match to create such a program. In that first year, she trained over 20 staff members in multiple buildings and hundreds of beautiful Reiki sessions were administered as a result of this training. As she saw fit, she incorporated EFT and RET into her Reiki sessions. Although we still provide training, the Still Waters Wellness program has moved toward a service-provider model where a variety of on-site services are provided directly to the members of communities. Since 2011, Still Waters Wellness has evolved to become Dallas’ only on-site provider of effective, non-pharmaceutical pain, stress and trauma healing modalities. 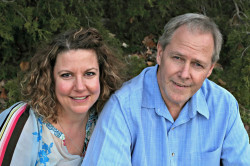 Jim and Suzan Kearney bring together their combined 25+ years of working in the field of trauma and pain recovery. Jim retired from a line-of-duty injury from New York City Fire Department. After his retirement, his desire to help and serve was redirected to the healing arts as he traveled the world learning various modalities directly from the masters. He has a particular talent for working with trauma of all kinds - physical, emotional, mental and spiritual. Suzan has a background as an elementary school teacher, curriculum & program writer and public speaker. Through a traumatic turn of events in her own life, she redirected her educator’s heart to focus on the world of trauma recovery. She opened her private practice in 2004, where she served private clients and conducted group programs and seminars using Rapid Eye Technology, Emotional Freedom Technique and Reiki. Together, Jim and Suzan have combined their strengths to create a synergistic blend of their talents to create outstanding, on-site healing programs for facilities throughout the Dallas-Fort Worth metroplex. Our practitioners are appreciated for their depth of knowledge and skills, coupled uncommon levels of compassion and patience. Each of our practitioners are vetted in their individual areas of expertise. They undergo extensive and on-going professional training to stay abreast of new developments in the industry. Each carries industry-standard levels of insurance. We are honored to serve in our community and your facility!